A true joy for Jim was getting the chance to meet the radio and television stars of his childhood when he hosted them on The Muppet Show. While some had more or less retired by the 1970s like Edgar Bergan and Senor Wences, others, like Milton Berle and Bob Hope, kept plugging away in films and on television specials. 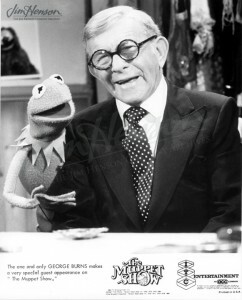 George Burns fell somewhere in between. Following the death of his wife and performing partner Gracie Allen in 1964, Burns stepped back from performing and became active in producing for television and was a creator and co-owner of the popular series about a talking horse, Mr. Ed. In 1975, life imitated art when a starring role in The Sunshine Boys, a feature film about the reemergence of a pair of old vaudeville stars, helped re-introduce Burns to a young audience. That led, in 1977, to the title role in Oh, God!, a feature film co-starring Jim’s friend John Denver, and numerous other film and television roles. A guest star turn on The Muppet Show seemed inevitable. 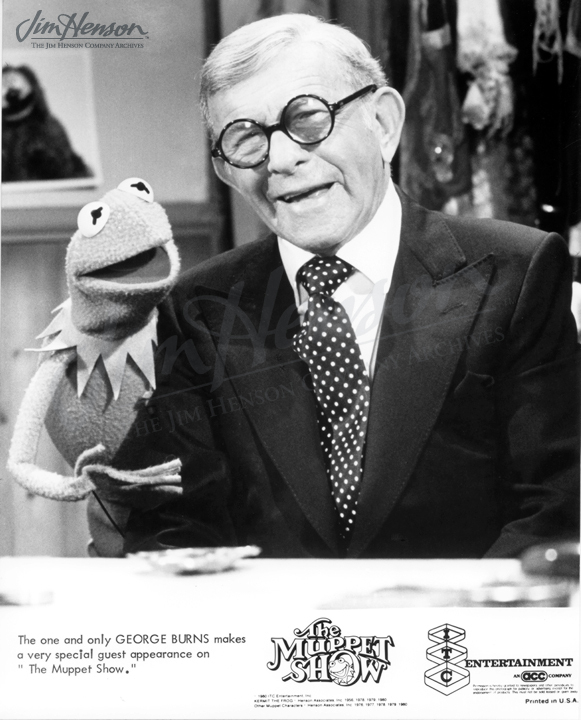 George Burns and Kermit on The Muppet Show, 1977. 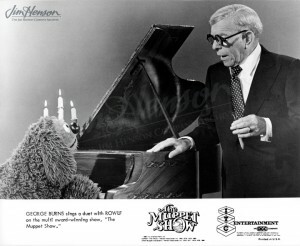 George Burns and Rowlf on The Muppet Show, 1977. 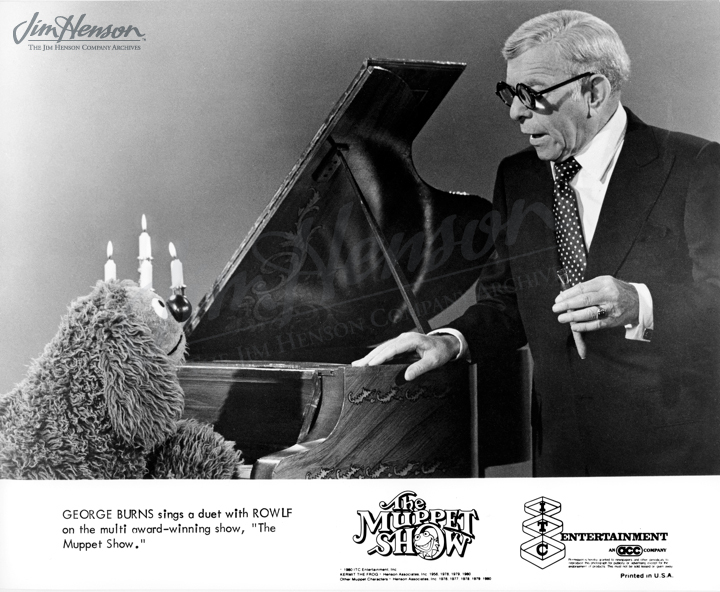 This entry was posted in 08-August '77, Muppet Show and tagged Bob Hope, Edgar Bergan, George Burns, God!, Gracie Allen, John Denver, Milton Berle, Miss Piggy, Mr. Ed, Oh, Senor Wences, The Muppet Show, The Sunshine Boys. Bookmark the permalink.